With less than a month to go for the 2017 fluke season, the fishery began to produce some of its most consistent catches of the year as the water warmed up and the winds calmed down this week. The on-and-off bite was strong in the Manasquan River and Barnegat Inlet areas, and grew in consistency at the artificial reefs off Ocean County. The Axel Carlson Reef, off Mantoloking, has been a hit with anglers this past week, as well as the channels near Manasquan Inlet in the river. 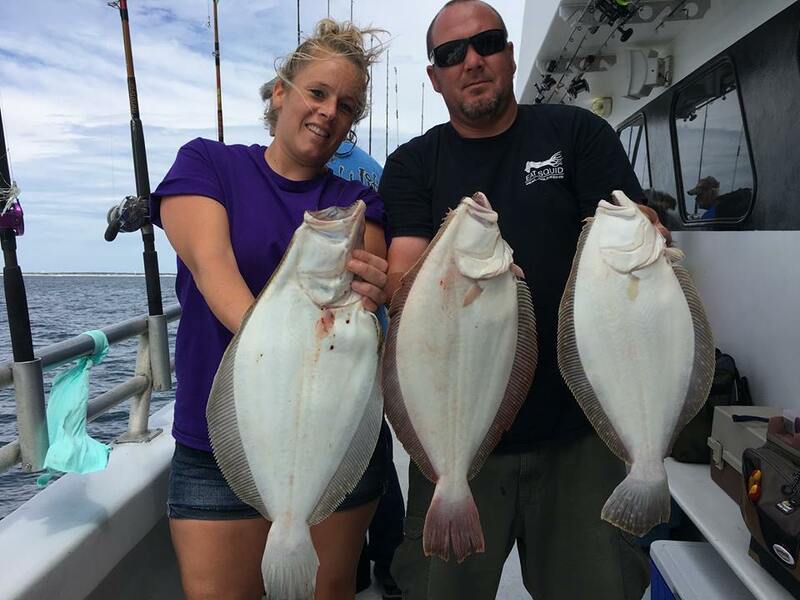 There’s also been some decent fluke fishing at “the tires” off Barnegat Inlet, for those who access the ocean to the south. Speaking of snappers, they’re “all over,” said a report from The Dock Outfitters in Seaside Heights. “Not those tiny guys – some good eating ones,” the report said. Snappers were abundant essentially everywhere, from the surf to the Toms River, where they’ve been hooked at Island Heights as well as in the lagoons. As is often the case in August, some more elusive species have been showing up on anglers’ hooks over the past week. Blowfish began to appear in Barnegat Bay between the BI and BB buoys, as well as the channels closer to the inlet, and kingfish have been nabbed at Island Beach State Park from the suds. “We heard of some anglers doing very well on small pieces of clams, squid, and fishbites,” the Grumpy’s report said, referring to the kings. Just a reminder – show off your catch! Send in your photos to daniel@shorebeat.com to have them shared here with our readers.